We will be happy to include your residential telephone number if it is not included in the white pages. We will also publish, at no cost, your cell phone number, but only if it is your primary telephone number. This is a FREE service to those who do not have a traditional landline. We can include your cell number in addition to your landline home number for a small listing fee of only $25. This service is only available to residences. You may contact our office by e-mail, phone or fax with your requests. 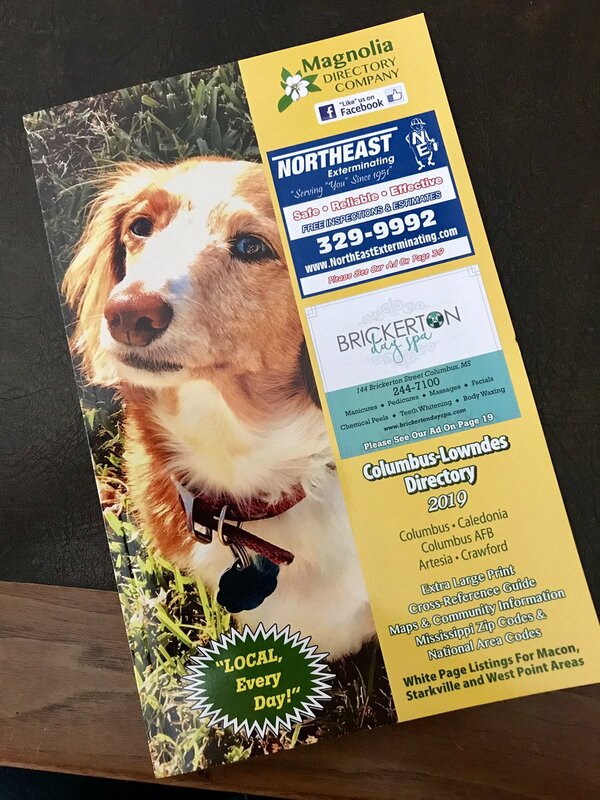 If you wish for your business to be listed and / or are interested in display advertising in the Columbus-Lowndes Directory, please e-mail our office and we will contact you to set an appointment time that is most convenient for you. Simply send us an e-mail, call our office or send us a fax with your request and we'll contact you promptly.